Kevin Cody and Jamie Johnson discuss Agilux - a flexible and adaptable module LED platform with a ton of opportunities. Kevin and Jamie discuss international manufacturing, quality of products, as well as environmental impact of international shipping. Jamie: Welcome back to episode 7 of the Verde podcast. 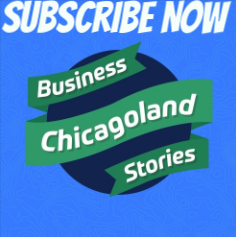 Every week we talk to local business leaders and entrepreneurs to understand their real story that doesn't make it to the spotlight, but is how actual businesses are actually built here in Chicago. Today we have Kevin Cody who is the founder of Agilux. I've known Kevin for many, many years. We've intersected in a couple of different ways and it's been fun to watch how his product has grown because I've always been impressed. Kevin Cody: Thanks. Thanks for having me. Kevin Cody: I appreciate we could get together again. Jamie: Yes, it's always a good time to catch up with someone who knows the pitfalls and glories of running a business, right? Kevin Cody: It's always fun. Jamie: Tell me a little bit about Agilux and what you guys do as a business today and why and how you started the business. Kevin Cody: Sure. In 2014, I happened to be at trade show for lighting and some other products, and for several years prior to that we had been selling and represent manufacturers of different products. We just had a real heart for the design process, for helping manufacturers bring their product to market. I have a background in retail as well as in manufacturing, and so I enjoy just seeing the whole development process in bringing a product to market. We were representing manufacturers products and bringing them to market, and realizing that the manufacturers were really benefiting from our experience, and we decided that it was just time for us to go out and develop our own, and really get into the product development process and then own it all the way from start to finish. Happened to be at a trade show and stumbled upon a product that I thought I would really enjoy potentially developing some derivatives of. Began a conversation with the product development manager who happened to be there in the booth and we ended up talking in the booth for about an hour about all the different options that they offered as a company, the variety of products that they did. I knew them from a previous industry and always had great respect for them, but the product that they were introducing to me seemed to be a little bit too commercial or a little bit too utility oriented, and it wasn't a direction that we saw ourselves going. I said this probably ... He actually asked us if we'd be interested in selling the product for him, and I said, "You know, this really isn't something that we think we would do very well for you at. There are other people who play in this sandbox that would probably do much better, but it's an interesting product and I think that there's a residential or a DIY version of this product that could at some point happen that'd be really interesting to have. If that opportunity presents itself, we'd love to talk to you further about it." At that, he invited me back to the company and invited me into their product development lab. It's a major electronics company based here in Chicagoland area, and at the time I thought, wow, this is a neat opportunity because I'll really get to see what a huge company does in the lab. Kevin Cody: They said, "We have this product that we think has merit but we really don't have a direction for it. We want to be in the LED space, LED lighting space because we know that's important for all the peripheral products that we make and want to be involved in this, but it's basically, it's just a lab, so we're not sure exactly which direction we're going to take this but it's a unique solution." We looked at it for probably four or five months and began to develop, just because of experience, some market concepts and possibilities. Began to talk to people about it, looked at all the options that we could potentially use in the product. We regenerated the discussion probably four or five months later and came to the conclusion that there were real opportunities for it and want to pursue it. Jamie: Fast forward to today. Describe the product that came from that initial meeting and what you guys sell today. Kevin Cody: Yeah, sure. The brand is Agilux, and it is an LED module, and there's a lot of different forms that LEDs take today but this is something that can be magnetically attached to a power source and then distributed in a variety of ways. It can be moved around. It's a super-low profile. It is totally different than anything else that's on the marketplace today, and it is something that's very flexible to work with from a product development standpoint. Jamie: We're looking at a few of your ... You've got a couple of different in this conference room that we're chatting in. Jamie: It's funny that I've seen it since the beginning and how it's kind of evolved, and it's beautiful, and something we obviously ... You know us and people listening may not. Jamie: My company actually installs LED lighting for commercial customers, and I obsess over the size of LEDs, I do. From a logistical standpoint of how you get it from the first port of manufacturing to keep the environmental impact of shipping low, warehouse space low. You can actually deliver a lot more products to an individual customer when it's ... Your product hits all of those better than actually any of the product we buy right now. It is a beautifully designed low-profile product and I know ... Tell us a little bit about, I've heard some anecdotes that through beauty supply stores are really taking off and some of the larger I guess retailers you would say would have those kind of booth set-ups are really taking off. Kevin Cody: Yeah, sure. We intentionally began to develop the product towards some non-mainstream lighting markets, channels, because we felt like we wanted to build a strong base of potential customers, do field tests and things like that before we introduced it to the mainstream market because the profile of the product is such that it really is unique to handle, and for an end consumer that walks into a DIY store today, they pick up a light bulb and screw it into their socket. This is something that's totally different. It's very safe. It works identically in terms of the connectivity of the product but it is not something that anybody would just intuitively use in their home. We wanted to develop applications for it where people would get accustomed to it, that contractors would be able to install it, use it and be comfortable with it, that we could use those experiences for developing the DIY market in the future. Two that we just kind of, three actually, that we picked to start with were the exhibit industry. The exhibit building industry typically uses a lot of unique applications. Kevin Cody: They also need really low profile product and my history prior to starting the company was in manufacturing, selling and actually purchasing as a buyer at a major retailer, track lighting, and so I had a sense of where this could be used in those applications where track lighting was being used today and it was similar. It was natural for me to be able to go toward that market. Exhibit industry is actually very large, and it is something that could build a nice base of business, so we started there. Jamie: You know, what's funny, what strikes me about your experience, and I've known you for a long time, is that when I was through my early start-up days, a lot of the teaching is around build a mobile product, it's mostly software. Build something that's very minimal, interview a lot of customers an adapt it, and I used a lot of that in interviewing and building our business model. I was very open. I didn't have a lot of plans and it worked in a lot of ways. It's challenging and you have one benefit I found is that I always wanted to stay in one space, so it never pulled me out of sustainability because that was what I was focused on. Jamie: You're one of the rare ones that I've met where you almost saw a vision, and it sounds like it's from your experience being a buyer for so long, that you saw a vision for the low profile. We were talking a little bit earlier before we started the podcast about how the 24-volt, it's kind of come around to be popular in the last six months, and you saw it years ago. I just wanted to notice that. You're different than a lot of the entrepreneurs I interview and you're singularly focused and the market's coming to catch up to you, which is cool. Kevin Cody: ... that knows the same stuff, and had a lot of forward vision built into the product to get us to this point. Jamie: You've got some patience too. Jamie: You've not ... I often think that a lot of my friends who have started a business and kind of moved on, sometimes I just think if they gave it another couple of years. Not everyone has that luxury in their life to do that though, and that's not also the same story that if someone's listening now and they just have an idea and run with it for 20 years, it doesn't mean it will work. Jamie: Because there's a lot of things that go on, but patience is definitely a big part of it. Kevin Cody: Perseverance and a vision, and I think the vision is really what has kept us focused on continuing with this, because there's been several times along the way that we said, "Is this really worth developing and spending and investing our saved income on?" Yeah, absolutely. Jamie: If you don't mind, expand a little bit on that. What was the most challenging time in the four or five years you've been with Agilux for you personally? What do you find to have been the point where you were like, "I'm not sure this is worth keeping at." Tell me a little bit about that. Kevin Cody: Well, there's several pieces to the puzzle, and recognizing your strengths and weaknesses and surrounding yourself with people who are going to be able to support those, both sides, is really critical. Recognizing where the product has real opportunity and where it doesn't, and then balancing cash flow with the requirements of product development. We have a business already generating the cash that we need, so do we take money out of that business and put it into Agilux? Do we continue to invest in Agilux for the future? Jamie: You really serve almost like your own angel investor. Jamie: Your existing business kind of funds the development and the research and the growth of Agilux. Kevin Cody: We're working two jobs at once. Jamie: Well, I'm sure you're working twice as hard which is, that's part of the game. Kevin Cody: Yeah. It'd be nice at some point in time to have a real investment partner to come along with, but all the while you have to be developing a company that people are going to see a value in. We didn't think that we'd be able to get there. In some ways, the product itself is so far out that some people would not be able to grasp it, and unless they really see the revenue that it could generate, they're not going to get behind it. Jamie: Really, an investment partner definitely comes with strings attached. Jamie: It sounds like patience isn't always one of those. Kevin Cody: No. In this world too, there's some big players. Kevin Cody: They're constantly, from a regulatory standpoint as well as just a technology standpoint, always putting up roadblocks to prevent smaller guys from coming in. Kevin Cody: We realize that and need to have that perseverance and the vision to keep us going. Jamie: ... with new products. Jamie: What are some of your favorite parts of running Agilux? Kevin Cody: Realistically, I love product development. It's kind of like building a house. You buy the sticks. You have a plan. You start to put them together, and in the end, hopefully, if you've built it on a strong foundation you will have something that you can call your own for a long time. That's the favorite part for me is taking a product from a raw beginning all the way through the end and using the experiences that we've had tremendously wonderful opportunities with throughout our business life into developing the product, into developing the package, into learning how to communicate visually to consumers in a way that makes the product appealing, and as different as it is, giving people a comfort level with their use of the product. Seeing all that come together is really what excites me and keeps me going. Kevin Cody: The core of the product is really the modules. Kevin Cody: Those have not changed at all. We can always tweak the colors. We can always change the lumen levels, the characteristics of the electronics a little bit, but essentially it's a modular LED and it's always going to be that way, and that's what Agilux means, agile light. I don't ever see it being a product that has a whole lot of variation to it. It's a question of how do you mount it differently? How do you house it differently? Are there applications where you need to modify those things to accomplish the objective of whatever you're lighting? The core of the product, the LED modules will stay the same. I don't see that changing, but we have tons of opportunity in the other mounting options and form factors housing the product. Jamie: I see one of those sitting here on the desk, the grow light. Kevin Cody: Yeah. That's was the third market we went after, which was grow lights. Jamie: I'm sure the marijuana boom has probably provided some opportunities. Kevin Cody: Yeah. Interestingly enough, those growers have their ideas of how they want to grow product and have had some history with particular types of lighting that is going to grow their product better or best. They're just like everybody else. Change is not something they feel comfortable with oftentimes. Kevin Cody: LEDs are changing that in a big way, from an energy savings standpoint, obviously. Kevin Cody: Also the ability to tune the LEDs to modify package of LEDs that is going to give you the best opportunity to grow the product the fastest. Jamie: The plant doesn't need visible light, right? It needs different wavelengths, the blues and the reds, I remember. Kevin Cody: Our product is designed around the spectrum between 450 nanometers and 660 nanometers and that is where plants typically like to grow. You could go above that and many will grow at 750 nanometers, and depending on the type of plant, microgreens for instance, want to grow or like it on the lower end of the spectrum, and flowering plants like it on the upper end of the spectrum, so more red as opposed to more blue with a microgreen or something like that. There is the ability with our modules to be able to create the environment where people can grow exactly what they want with really great affordability as well as design their own to their liking depending on the type of plants you're growing. Jamie: Yeah. That's great for the indoor gardener, for sure. Kevin Cody: Yeah. It's a nice low profile. Kevin Cody: It's not obtrusive in any ways or obnoxious in any way. It's easily mountable in a lot of different variations, so depending on what you're growing, where you're growing it and how you're growing it, those are all important things to everybody. Kevin Cody: We have a lot of different variations that can be done with that. Jamie: You almost open up an opportunity for everyone to have a residential basement greenhouse. Kevin Cody: Yeah, sure. Sure. Jamie: Sweet. I start growing ... I'm a big gardener and I've always started to try and grow seedlings inside, and they always do fine. They get the moisture right and they get to a certain size and then they never ... In the Chicago March, you leave them close to the window and they'll die. I'm actually going to pick one of these up and give it a shot. I'll let you know how it goes. We'll get a follow-up podcast in the year. Jamie: Talk about how the garden turned out. Jamie: Tell me a little bit about your experience in making sustainability a priority within your business. Obviously your product is a sustainable product, LEDs are. There's no doubt. It's pretty mathematical and it's hard to argue. What about internally? I saw a little bit of your warehouse. You guys have a much better inventory system than ours, which I'm going to go back and take some notes about. Tell me a little bit about you find and prioritize that within your own business. Kevin Cody: The people that we're doing business with, because the product, some of the product components are made in China, we have somebody in our QA within our China suppliers looking at all the things that those companies do to minimize any types of pollution or environmental issues that they might have. There's a pretty broad, long list of things that we look for in suppliers that are going to qualify them in a way that we feel best suits our company vision, as well as just the total sustainability of the product from start to finish. That's our power supplies. That's our packaging. It's our labeling. It's everything. Kevin Cody: We have a combination of suppliers from China to the U.S. and all of those are looked at the same way and held to the same standards. I think we have surrounded ourselves with suppliers that do the best job that they can at doing that. Jamie: How do you weigh ... I struggle with this personally, which is why I'm asking. Jamie: How do you weigh ... Do you always ship by boat when you ship products from China, or do you air freight? Kevin Cody: No, actually most of ours is at this stage air freight. Jamie: Yeah, it's light, small. Jamie: Which is exactly why I brought that up earlier. That's a big consideration for us. Kevin Cody: Yeah. You know, one of the decisions for a core component of the product is the aluminum extrusion. One of the decisions that we made early on was that we could tool the product almost anywhere if we wanted to. We chose to have dual tooling in China and in the U.S. when we set up the aluminum extrusion that the modules magnetically attach to. When we did that, set up the cost analysis of what it was going to be doing it in China versus doing it here in the U.S., and preferably in the Midwest specifically. We, in the process, discovered that in fact while labor costs are less expensive in China, you have freight, you have duties, you have all the other things that go along with that, the movement of the product from one factory location to another, potentially for different milling operation or painting or whatever, and discovered that we could move to a facility in Wisconsin called [Crystal 00:25:22] Finishing that does the aluminum extrusions, mills and paints all under one house, and they're one of the best suppliers in the entire United States. While the costs were a little bit higher, we could actually save money, and freight, and fuel, and everything else by using a domestic supplier for the extrusion. That's an example. Jamie: Yeah. I have two points that I'll bring up. The first point is the shipping is really hard for a growing business like both of us have to be patient and wait for something to take an extra month to get to you. Even if it's cheaper, that month or it can get stuck in customs. UPS is pretty good at getting things by air, but it does kill me to do that, and we do about 50/50, and we're really trying this year to push more towards boat because even though it is cheaper and we can buy more volume, but also the environmental impact is much smaller if you ship via freight by boat. Jamie: The other thing, and I just went to Shenzhen for the first time in November, and I know you've been to China many times in your career, I just had this really crystal clear vision, and maybe we can partner on this in a couple of years, but of an aluminum can getting used here in Chicago and recycled and down to pure element and then fed into a 3D printer to print a housing. While it sounds so futuristic, to see all of ... We'd have to recycle that can here and to ship to China, as gas increases in cost and from an environmental standpoint I hope it does, that cost increases, and so the cost to do it locally here really does go down. For me, it's always been a challenge of inventory and how do you predict the future of what you need, and to be able to print something or really manufacture it much more in a lean model here in the U.S. which we haven't had for, we just never have been good at it. Jamie: The 3D printing model is compelling, especially with the LED that really just has a housing, a driver and a diode, are the three major parts. Kevin Cody: Yeah. A couple of good points there. The fact that a 3D printer would allow you to create unique designs. If you wanted to be the Pinterest of LED lighting, you could do that pretty easily. The other thing is looking at the difference between boat and air freight, also depends on the growth stage of your business. We're at a point where a big spike in business could wipe us out, of inventory, and that was why we chose to keep and stay with the tooling in both locations. So far, we've been using Crystal Finishing exclusively and benefit from the ability to cut our lead times down. Jamie: You could drive out there and pick it up if you had to, right? Kevin Cody: I did the last order. Kevin Cody: Yeah. Also, the inventory levels by being able to turn our inventory a little bit faster. Jamie: People don't ... I know you go to Wisconsin but people don't appreciate how much is still made in Chicago. The breadth of it in the variety, Chicago has still got a lot of potential. Jamie: We are still best in class in many different factories when it comes to manufacturing. I get kind of ... I spend a lot of my time going on visiting a lot of manufacturing in Chicago and there's still a lot that's going on. Kevin Cody: There's a ton of lighting component manufacturers in the Midwest here, and particularly in the Chicagoland area, yeah. Jamie: Good. I've, as always, enjoyed talking with you. Jamie: Hearing your story and got to learn a little bit more about it. Kevin Cody: Thanks. I appreciate it. Thanks, Jamie. Setting up a free energy efficiency assessment for your business is easy peasy with our online form. Click below to make your appointment today!